When Eric walked out of jail last winter, he had only two days’ worth of prescriptions. “And they weren’t even the right pills,” he adds. Without the right medications, the lifetime Cincinnati resident wouldn’t be able to take care of himself or his family. A volunteer doctor saw Eric, 60, and wrote new prescriptions for his blood pressure, cholesterol and diabetes, which he filled at The St. Vincent de Paul Charitable Pharmacy. 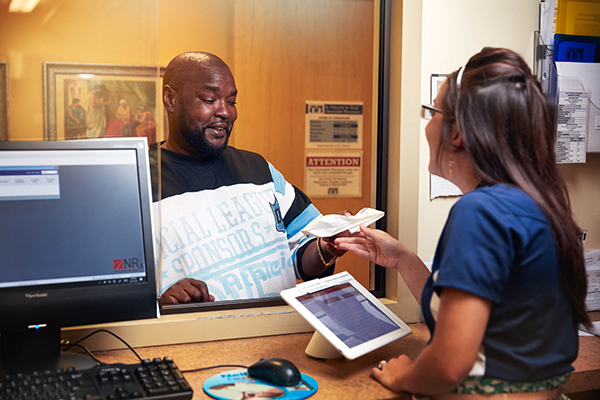 This pharmacy, one of 1,300 clinic partners of Direct Relief, serves the uninsured and others who have no other way to access their prescription medication in southwest Ohio. 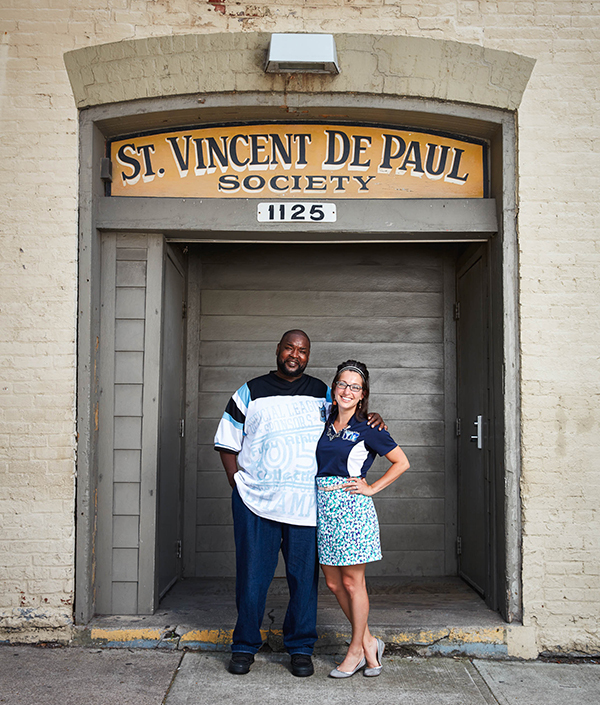 Lydia Bailey, clinical pharmacist at St. Vincent de Paul Charitable Pharmacy, has seen Eric every month for the past six months, checking that his medicine is working properly and that he’s eating right and hitting the gym. His A1C level, which tests diabetes control, has settled from an alarming 11.3 percent down to the goal value of 7 percent. With his health stabilized, Eric is able to spend time with his grandchildren as well as care for his aging parents and look for work.